Davis was released by the Titans on Monday, Field Yates of ESPN reports. Analysis: Released by Seattle at the end of the 2018 preseason, Davis had two stints on the Titans' roster when Marcus Mariota (elbow) was dealing with injuries. The 29-year-old quarterback hasn't thrown a pass in a regular-season game since 2015. Davis signed a contract with the Titans on Monday, Terry McCormick of TitanInsider.com reports. Analysis: Davis' signing comes on the heels of Marcus Mariota's (elbow) injury. If Mariota is held out of the team's Week 17 matchup with the Colts, Davis will operate as the backup to Blaine Gabbert. 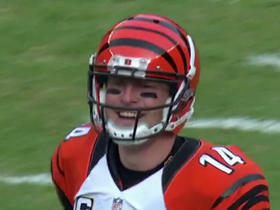 Davis won't figure to see the field unless the team takes further losses at quarterback. The Titans released Davis on Tuesday, Jim Wyatt of the team's official site reports. Analysis: With Marcus Mariota now reasonably healthy after contending with an elbow injury and Blaine Gabbert having cleared the concussion protocol, there was no longer a need for the Titans to keep Davis around as a third-string quarterback. The 29-year-old didn't earn any snaps during his stint with Tennessee, which lasted just two weeks. Davis will be the backup option for starter Marcus Mariota (elbow) Sunday against the Eagles, as Blaine Gabbert (concussion) is listed as inactive for the contest. Analysis: Davis signed with Tennessee just five days earlier, but he'll get thrown into the mix as an emergency quarterback option Sunday. While Marcus Mariota has been deemed healthy enough to start despite an elbow injury, he's been unable to shed his injury-prone label to date, and any type of setback would likely lead to Davis seeing game action. Davis agreed to a contract Tuesday with the Titans, Ian Rapoport of NFL Network reports. The Seahawks waived Davis (undisclosed) from injured reserve Saturday, Ben Arthur of the Seattle Post-Intelligencer reports. Analysis: Davis is a career backup, but he was pushed from his position behind Russell Wilson after a preseason where he completed 21 of 30 throws for 250 yards, one touchdown and one interception. The Seahawks subsequently traded a sixth-round pick to the Packers for Brett Hundley, who will be Wilson's insurance this season. The Seahawks placed Davis (undisclosed) on injured reserve Saturday, Michael-Shawn Dugar of The Athletic Seattle reports. 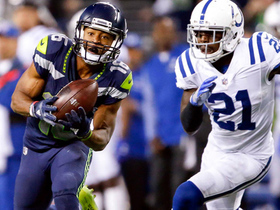 Analysis: Davis was expected to get cut after the Seahawks traded for Brett Hundley, but the Seahawks found a place for him on injured reserve. He won't be able to play in the 2018 campaign unless he reaches an injury settlement. Davis is likely to be released after the Seahawks traded for Brett Hundley on Wednesday, Gregg Bell of The Tacoma News Tribune reports. 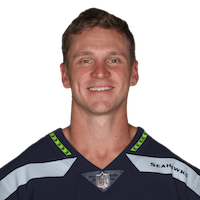 Analysis: Apparently displeased with the backup quarterback competition between Davis and rookie seventh-round pick Alex McGough, the Seahawks traded for Hundley one day before its final preseason game. With McGough a better bet to land on the practice squad, Davis may find himself out of a job by Week 1. There is some chance Seattle could keep three quarterbacks on the roster early in the season while Hundley gets up to speed with the playbook. Davis completed two of three passes for minus-1 yard during Friday's 21-20 preseason loss to the Vikings. Analysis: QB Alex McGough, who is competing with Davis for the backup job, produced a dud as well, completing five of 14 passes for 140 yards, one touchdown and one interception. Neither signal caller has looked good through the first three preseason games, and if that carries into the final exhibition game the Seahawks may ponder free-agent options. Davis will compete with Alex McGough for the Seahawks' backup quarterback job during training camp, Brady Henderson of ESPN.com reports. Analysis: Davis has experience and incumbent status on his side in the job battle, likely conferring him the early advantage heading into training camp. Despite his undersized stature, Russell Wilson has yet to miss a game in his NFL career, which may embolden the Seahawks to keep only two quarterbacks on the roster when the season begins. Davis ended up appearing in three contests in 2017, but played just five offensive snaps. Davis is re-signing with the Seahawks for the veteran's minimum, Mike Garafolo of NFL Network reports. Analysis: Davis outplayed Trevone Boykin last preseason and spent all of the regular season serving as Russell Wilson's top backup. While the Seahawks are expected to look into alternatives, including Colin Kaepernick, it isn't out of the question that Davis retains the role for another year. The team recently signed Stephen Morris, who likely would be the underdog in a training camp battle against Davis. Seattle Seahawks quarterback Russell Wilson throws to wide receiver Tyler Locket for 41-yard reception. 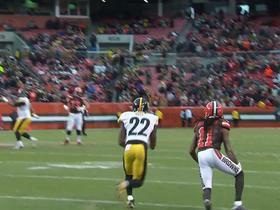 The "Around the NFL" crew recaps the Pittsburgh Steelers 28-12 victory over the Cleveland Browns in Week 17 to secure a spot in the playoffs. 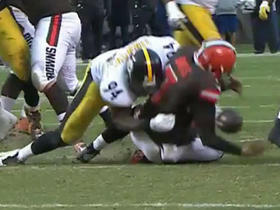 Browns Austin Davis fumbles after sack from Steelers Lawrence Timmons. 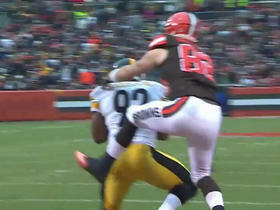 Browns Austin Davis intercepted by Steelers James Harrison at goal line. 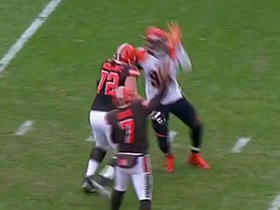 Browns Terrelle Pryor leaps over defender for 42-yard catch from Austin Davis. 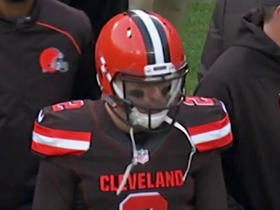 Former NFL players Maurice Jones-Drew and Ike Taylor go over the best and worst fashion trends from Week 13. NFL Media Insider Ian Rapoport has the latest on quarterback situations with the Cleveland Browns and Indianapolis Colts. 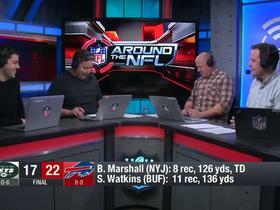 The "Around the NFL" crew recaps the Bengals 37-3 victory over the Browns in the Week 13 battle of Ohio. Cincinnati Bengals linebacker Rey Maualuga recovers backward pass.